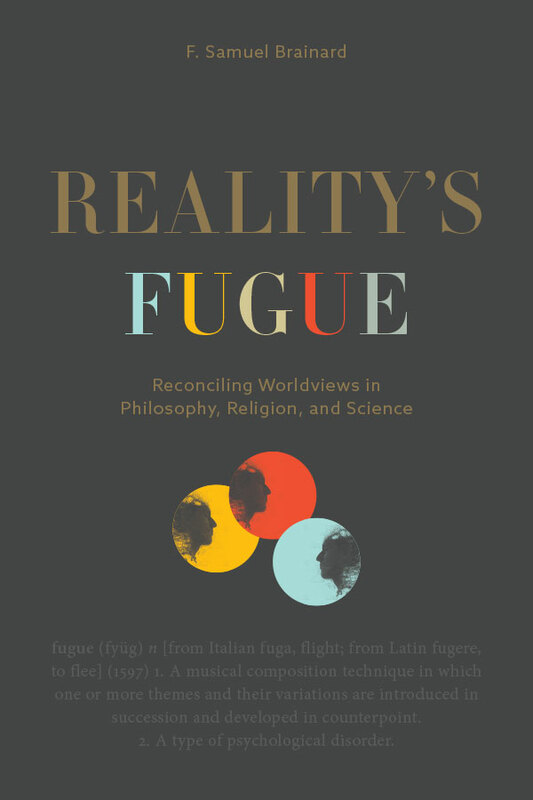 This book proposes what I believe is a fresh perspective on the nature of reality, one that may open avenues for reconciling certain competing worldviews in philosophy, religion, and science. Some readers, particularly scholars in philosophy or religion, may find helpful the following comments on this proposal’s background and methodology. Behind my analysis of different accounts of reality is a study of the distinction we make in our everyday lives between what have come to be called the “first-person view” and “third-person view.” I discovered the distinction between these views in a seminar I attended on the philosophy of mind. In many of the articles read for the course, the two views were used to capture the hard problem of consciousness, the two seemingly impossible-to-reconcile ways one could talk about and explore conscious awareness. On the one hand is consciousness as we know it in our personal experience — how it appears to us from the “inside,” so to speak, when we examine the nature of our own conscious awareness. On the other hand is how consciousness appears from the “outside” — how it appears to someone apart from the subject, such as when it’s examined in an fMRI or PET scan of a person’s brain. From the first-person perspective, we know consciousness first-hand and self-evidently. From the third-person perspective, this is not the case. The presence of consciousness in others is something we infer and can be wrong about; it doesn’t have the subjective immediacy of our own conscious awareness. Prior to attending the seminar, I’d published a book that contrasted three accounts of reality in terms of how each dealt with a certain philosophical puzzle. The distinction between first-person and third-person views offered a way to clarify the puzzle and sharpen this contrast. The two views were closely related to the accounts of reality that I wanted to distinguish and were, as well, relatively obvious and easy-to-explain, even to someone with little background in philosophy. My approach to reconciling accounts of reality couples these two views with a reexamination of certain basic philosophical problems, and such an approach may raise questions for some readers. My discussion of contradicting worldviews begins, in effect, from scratch rather than with our contemporary scholarly discourse on the subject, and such a way of beginning may give the impression that the book may be introductory or simplistic. Despite first impressions, my analysis is directed at a wide range of current philosophical issues, both within and outside metaphysics. I begin in this way because my approach to these issues requires revisiting certain basic concepts and puzzles that have troubled philosophy for a long time and are staples of its introductory courses. This way of beginning also makes my arguments regarding the nature of reality as clear as possible to any interested reader. My approach may also seem presumptive — as if I’ve assumed that accounts of reality in science, philosophy, and religion can be reconciled without considering those who argue otherwise. What of philosophers like Foucault, Derrida, Gadamer, Habermas, Rorty, or the many others who have shown how metaphysical accounts are deeply and seemingly inextricably embedded in culture, language, and history? What of those like Richard Dawkins or Stephen J. Gould or Auguste Comte who claim that religion and science make incompatible claims or have different concerns or are different stages in our intellectual maturity? While this book is very much concerned with (and in sympathy with) metaphysical contradictions stemming from differences in cultural circumstance, its primary focus is basic philosophical issues that appear in more than one culture, have never been resolved, and appear as well among the underlying assumptions of empirical science. World religions can be thought of as philosophies in practice, and certain differences in their views of reality provide good examples of such issues. These metaphysical accounts have endured over millennia and continue to resonate with people around the world. When examined comparatively, certain of these accounts illustrate very clearly the philosophical problems I’m interested in — problems we also find in contemporary Western philosophy, including the philosophy of science. But what, then, do I propose for these more enduring contradictions among accounts of reality, ones that seem to trouble philosophers regardless of cultural context? In fact, I don’t think that such contradictions can be resolved in a way that is both comprehensive and logically coherent. This analysis doesn’t aim for a metaphysical synthesis that removes the differences in these accounts. Rather, its goal is a better understanding of a particular puzzle that prevents certain conflicting worldviews from being resolved and of what the source of that puzzle might be. This goal affects what is and isn’t emphasized in my analysis. Because the particular metaphysical puzzle I’m seeking to flesh out lies at the intersection of different accounts of reality, I examine each account principally to highlight the contrasts that interest me. While I make certain points that should interest specialists, they should not expect to find here thorough, nuanced analyses of these philosophical accounts. That is not my intent. My intent is to use the differences in these religious philosophies to shed light on a philosophical puzzle that seems to make it impossible for any one strategy to be entirely satisfactory in all respects, a puzzle that also helps illumine the accounts of reality themselves. Given this aim, my sources are also somewhat different than what are generally expected in most scholarly works. Much of the information needed to flesh out the accounts of reality highlighted here is readily available in philosophical and other discipline-specific reference materials. While I also use other sources, these secondary sources are particularly appropriate for my analysis. They are as close as our community of discourse comes to texts intended to suggest collective understandings on various subjects. These methodological considerations notwithstanding, perhaps the biggest difficulty presented by this proposal will be its novelty to most readers. If my analysis of conflicting views of reality has merit, then we are quite likely at the doorway of what may be for many a new universe, one that, like a 3D movie, doesn’t come into focus except in the convergence of differing points-of-view. If we are too wedded to a particular metaphysical view, then we won’t see this universe. Even if our view is that there exists only a diversity of views, we won’t see this universe. As suggested by this book’s title (and by Douglas Hofstadter in his Gödel, Escher, Bach), the universe described here is perhaps best understood as a kind of fugue, a musical composition expressed though many voices. Some of these voices harmonize; some play against each other; over time, allegiances change. And that which excites us, enchants us, challenges us, and gives meaning to these many voices is what is achieved in their interplay, the music that comes into being in the sound they make together. But of course this is only a metaphor, a trope attempting to clarify what can easily be thought of as just another account of reality, another point-of-view out of many. So here is a question, one that runs through this book: How can I, or you, or anyone be just one point-of-view, yet legitimately claim to speak for more than just one point-of-view? Or, to put it in another perhaps more familiar way: How is philosophy or science possible? I propose in this book a way to reconcile competing answers to certain longstanding, fundamental questions about our human nature and the nature of the universe we live in. What, for example, do we mean when we say that something is “real” or “true” or that something is “alive” or “exists” or has “conscious awareness”? How does our experience of having thoughts and feelings and a mind fit with the nature of matter and with quantum mechanics? What about life’s purpose and God? How do we reconcile religion with science? What justification is there to believe in a spirit realm or that we are something besides just our physical bodies? In the enormously diverse worlds of philosophy and religion, there’s little agreement on answers to questions like these. This book develops a way to understand certain of these different answers as pieces of a larger puzzle, as expressions of a particular mystery of our universe, a paradoxical process basic to the behavior of both living beings and matter. There are three parts to the development of this proposal. Part One introduces the concept of reality as well as philosophical difficulties associated with it that play central roles in our understanding of ourselves and the universe we live in. Also introduced is the distinction between first-person and third-person views mentioned in the preface. Part Two examines three contrasting accounts of reality and the strengths and difficulties of each approach. Although these accounts are drawn principally from world religions, the philosophical issues examined are ones that humankind has been struggling with for a very long time both inside and outside of religious contexts. Part Three proposes a way to understand the three accounts as different themes in a single composition. Approached in this way, they would seem to reveal much more about ourselves and the nature of our universe than can be gained through any one account alone. Much rests on the philosophical issues addressed here, especially as they relate to religion and our spiritual lives. These issues concern not only the nature of reality but also the credibility of various religions and of what they have to tell us about life’s meaning and purpose. Religions are, among other things, our philosophies in practice, and how we decide these philosophical issues deeply affects our religious beliefs, spiritual practices, and possibilities for fulfillment in life. I’ve written this book as much for myself as for others; I’ve sought to write the book that I would have liked to have read when I was an undergraduate and struggling in my own life with these basic philosophical and religions issues. As such, this book is not only about reconciling worldviews, it also offers an alternative introduction to philosophy and to especially the philosophies underlying world religions. If you would like to read further, a preview of the book is available here. Some discussion questions for the book can be found here. Podcasts are available here (IndieVoices) and here (DSN). © 2018 F. Samuel Brainard - All rights reserved.